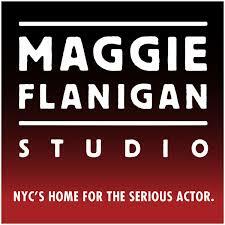 After participating in the 6-week Summer Acting Program, Hannah was accepted into the two year acting conservatory at NYC’s most respected professional actor training program, the Maggie Flanigan Studio. She was asked to talk about her experience with the program as promotional footage for the studio, and you can watch her doing just that right here and see why she loves acting so much! Hannah has moved to New York City! Hannah just closed "West Side Story" at the Lyric Theatre of Oklahoma, starring as "Rosalia" opposite Desi Devar, MaryJoanna Grisso, Austin Colby and Chris Rice. Hannah is currently serving as the assistant director/choreographer/dance captain of the musical Sister Act at Wichita State University. "Our hearts are warm, our bellies are full and we are feeling prime." Exactly my feelings (minus a little post-show depression) about this weekend and to our delight, many audience members felt the same. It was an honor to share the stage with so many talented and accomplished artists and musicians performing my favorite musical- I was pinching myself all week! I've watched Carousel since I was little girl and the music and story immediately possessed me with a deep love for humanity and musical theater. In one week of rehearsal, I created deep, long lasting friendships and was a part of a stunning production. The caliber, character, kindness and work ethic of my colleagues was and is inspiring. The process was fast, but the experience will stay with me for a long, long time. ...And I don't think I'll ever get over the sound of the 52 piece orchestra. Love and thanks to the designers, crew, musicians, cast and our incredible director, Wayne Bryan, and maestro, Daniel Hege. Here's to the first of many MTW and WSO collaborations and hopefully the first of many Carousel productions for me! Hannah will be playing the role of "Carrie Pipperidge" alongside Kerry Conte's "Julie Jordan" and Matt Bogart's "Billy Bigelow" in CAROUSEL: a Concert, February 11-12, 2017. For ticket information check out http://wichitasymphony.org/events/carousel-a-concert! Hannah performed in her senior showcase, along with 10 other senior musical theater majors. Watch her perform "Breathe" from In the Heights below. Thank you to all who came to support us and for your generous donations. Hannah just played "Marta" in Wichita State University's production of COMPANY, Nov 3-6th. Hannah completed her second summer at Music Theatre Wichita as a Resident Company Member in BEAUTY AND THE BEAST, OKLAHOMA, JESUS CHRIST SUPERSTAR (Soul Sister) and MAMMA MIA! She also performed "One Second and a Million Miles" from BRIDGES OF MADISON COUNTY at MTWichita's Star Night. Hannah just finished her run as "Velma" in CHICAGO! The show, directed by Stephen Kopel, ran April 21-24 at Wichita State University. For more photos by Liz Harp, check out the "media" section. Hannah is excited to announce that she will be returning to Music Theatre Wichita for her second summer to be a Resident Company Member in Beauty and the Beast (June 29-July 3), Oklahoma (July 13-17), Jesus Christ Superstar (July 27-31) and Mamma Mia (August 10-21)! Well...we did it. For my producing debut, "The Chicago Project" was a success! Thank you to everyone who came out to support our benefit cabaret- your support and love did not go unappreciated. From the cabaret, we raised a humble $400 for The Wichita Women's Crisis Center- thank you, thank you, thank you. I am so proud to be a member of the Wichita community and hope that this donation will encourage, inspire and create more opportunities to help the women of Wichita. Here's to the first of many! After noticing the lack of support given to women, Hannah decided she needed to do something active in her community. Inspired by the strong women of CHICAGO, she has decided to produce a cabaret called "The Chicago Project" to benefit The Wichita Women's Crisis Center. The $5 (minimum donation) cabaret will feature women from the Wichita State School of Performing Arts and local celebrity drag queen, Claire St. Claire. "The Chicago Project" will be April 2nd at 7:30Pm in the Litwin Theatre at the WSU Heskett Center. Come and support! All proceeds will go to the Wichita Women's Crisis Center. Check out the promotional video she made below! Hannah had a very successful week in Minneapolis, MN January 18-22 at the KCACTF Region V Festival! She made it into Semifinals of the Irene Ryan Competition with her partner, Meredith Hollan, for which she was nominated for her performance of "Cinderella" in Into the Woods. Hannah also assisted Amy Baker-Schwiethale in the teaching the tap number "Anything Goes" in the Musical Theatre Intensive and was chosen and directed by James Gray and Casey Erin Clark in the singing portion of the Musical Theatre Intensive, where she, Jennie Hughes, and Liz Jarmer performed "You Could Drive a Person Crazy" from Company. Wichita State University Musical Theatre Intensive participants with their professor, Amy Baker-Schwiethale. Liz Jarmer, Hannah Fernandes, and Jennie Hughes perform "You Could Drive A Person Crazy" from Company. (Left to right) Meredith Hollan, Hannah Fernandes, Linda Starkey, Madi White and Deiondre Teagle: Wichita State University Irene Ryan Semifinalists with their amazing teacher and accompanist, Linda Starkey. Hannah has been cast as "Velma Kelly" in CHICAGO, directed by Roundabout Theatre Company Casting Director, Stephen Kopel. The show will be April 21-24, 2016 at Wichita State University. Hannah just finished her run as "Hodel" in Fiddler on the Roof. She had such an amazing time in Anatevka and can't wait until the next time! Hannah will be playing "Hodel" in Wichita Scottish Rite Signature Theatre's Production of Fiddler on the Roof December 3-5! Hannah will be seen next in Light in the Piazza at Wichita State University. Performances will be Oct 29-Nov 1. Hannah was last seen in Hello, Dolly! at Music Theatre Wichita as part of their 2015 Resident Company. The show ran from August 5-9 and was directed by Mark Madama, music directed by Thomas W. Douglas and choreographed by Brian J. Marcum. Hannah just finished an amazing 6 weeks at NYU's CAP 21 Summer Musical Theatre Professional Program. She was taught and coached by Bill Daugherty, Amanda Flynn, Randy Redd, Marilyn D'Honau, Steven Sofia, Justin Boccitto, among many others. Hannah has just received an Irene Ryan nomination for her performance as Cinderella in Into The Woods! This is her second nomination and she will be attending The Kennedy Center American College Theatre Festival Region V this upcoming January (in Minneapolis) to compete in the competition and participate in workshops at the festival. Hannah is ecstatic to announce that she has accepted the offer to be in the ensemble of "Hello, Dolly!" at Music Theatre Wichita. The show will run from August 5-9. Hannah performed in The Andrew Lippa Masterclass on May 12, 2015. Hannah live-tweeted the Wichita's Jester Awards on May 8, an awards show to honor excellence in Theater, hosted by Music Theatre of Wichita. Hannah was named "Best Leading Actress" at Wichita State University's George Awards for her role as "Percy" in The Spitfire Grill. Hannah traveled to Minneapolis, MN to compete in the Irene Ryan Awards, for her role as "Percy" in The Spitfire Grill. She made it to semifinals in the Irene Ryan Awards and was cast as the "Ponytail Girl" for the featured dance number "Rich Man's Frug" in the Music Theatre Intensive Showcase, head by Broadway's Jeff Whiting (pictured left). Hannah also participated in four "Broadway Bootcamp" dance intensives with Jeff Whiting and was invited to attend the New York "Open Jar" Dance Intensive, taught by current Broadway performers and choreographers. Hannah was recently featured as a "Rising Star" in recent issue of WSU's Shocker Magazine. Read the full article here! Hannah just finished her run as "Percy" in The Spitfire Grill at Wichita State University, directed by Music Theatre of Wichita's Wayne Bryan. Hannah completed a weeklong Musical Theatre Audition Intensive with Goodspeed Musicals this summer. There, she worked with teaching artists such as Randy Skinner, Kelli Barclay and Molly Tynes.